Okay, so I have to preface this as being a kind of "part two" of my Eureka! reviews. My first review of a mac and cheese offering from Eureka! was in San Luis Obispo. You can find that first review here. I ordered the mac and cheese appetizer, thinking it would be the same simple dish I had in San Luis Obispo. 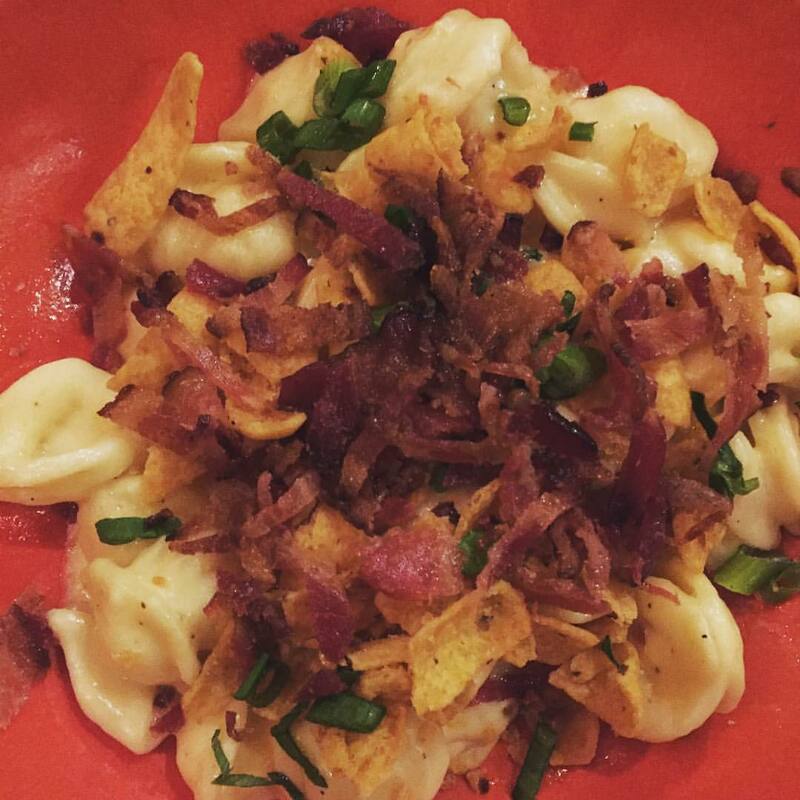 So I was pretty surprised when the dish placed in front of me had a mixture of noodles, bacon, chives and... Fritos. I wasn't sure what theme they were trying to go for here. Was it supposed to be some kind of weird Southwestern flair? If so, I've seen better. Or maybe they just felt that Berkeley college kids would go for some corn chips in their mac, and maybe so. But sadly, the chips didn't really make up for the bland flavor of the actual macaroni. I was a little disappointed since I remembered the version in San Luis Obispo being so rich and creamy, even if it was very simple. This Berkeley version was the opposite of simple and unfortunately seemed to lose the fundamental flavor. Next time I find myself at Eureka! in Berkeley, I'll probably stick with a burger. It's what they're known for after all.